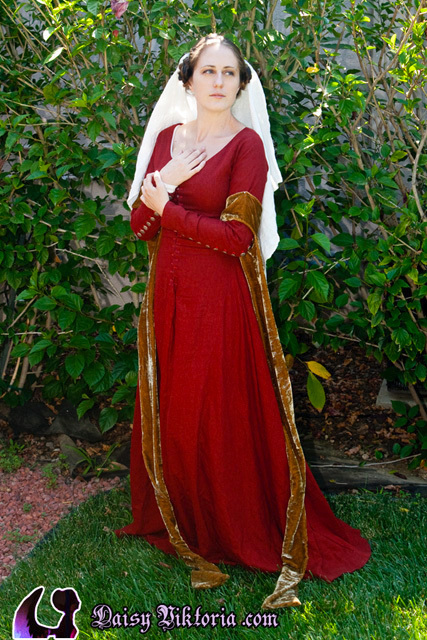 This is based on early 15th century French and English style gowns known as kirtles. 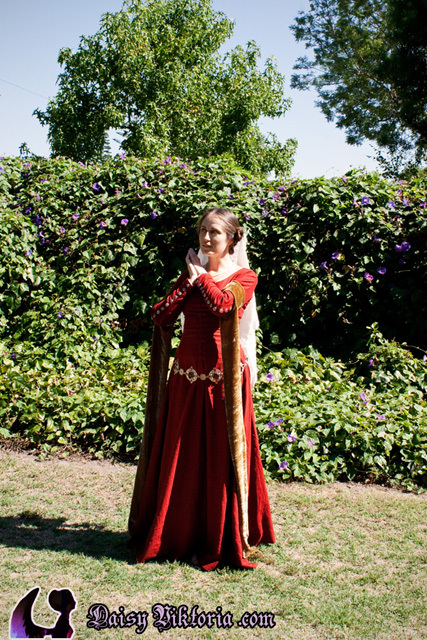 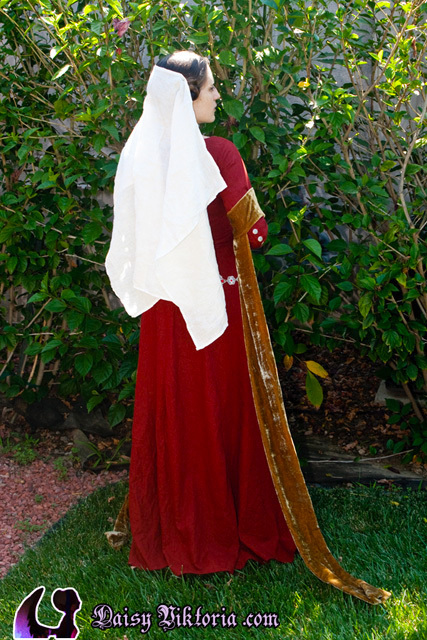 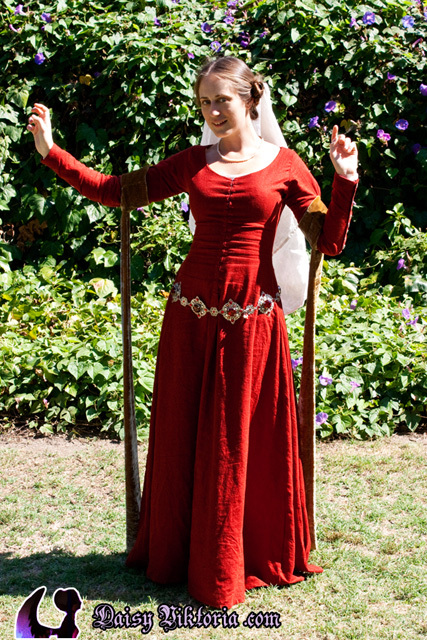 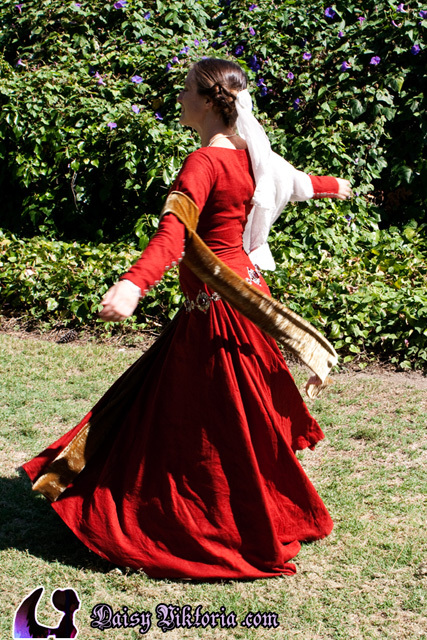 This dress is made of red linen and is worn here with velvet tippets and a linen veil. 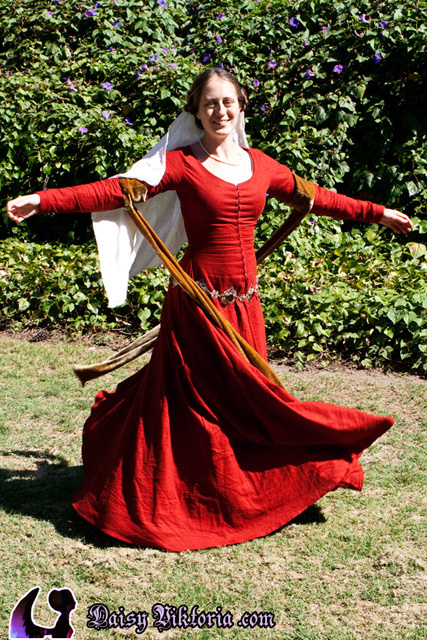 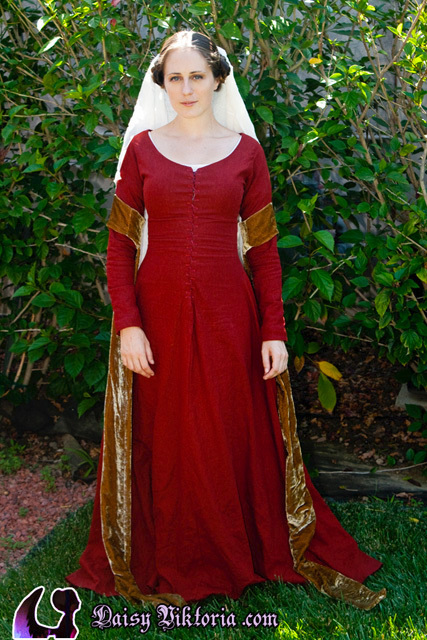 This dress laces in the front with buttons on the sleeves, one variation of a kirtle style. 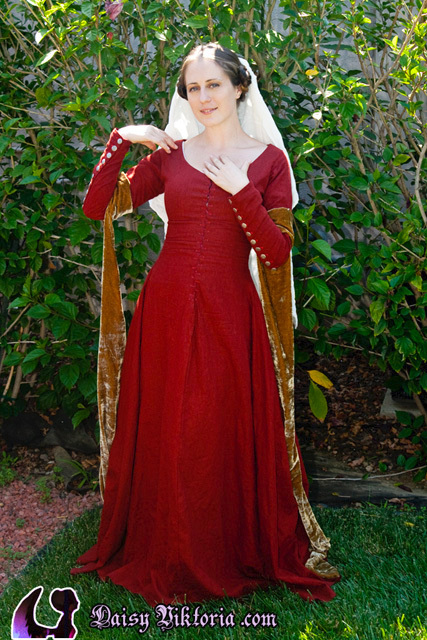 It can also be worn under other gowns.